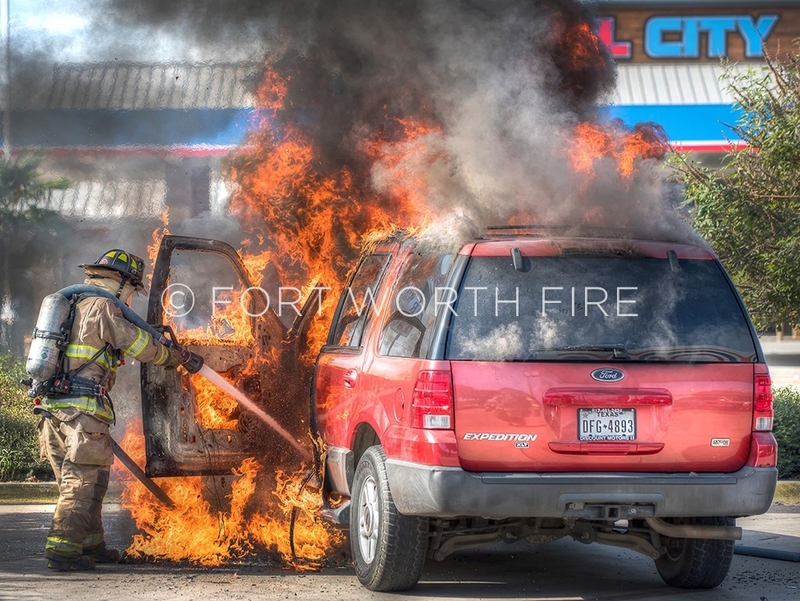 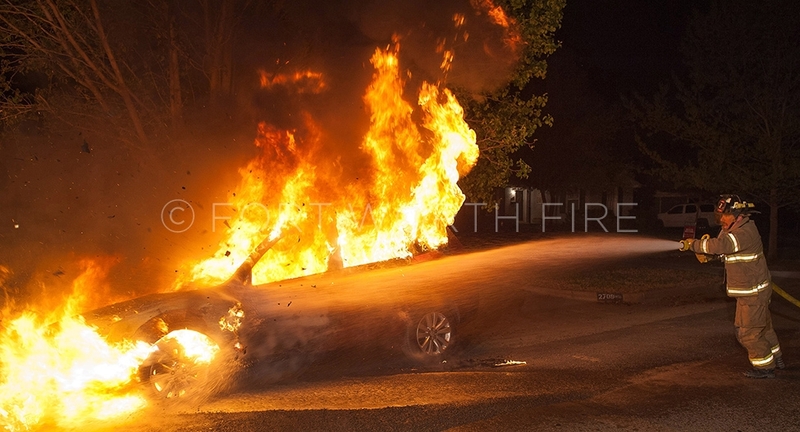 Haltom City firefighter Lee Godbold works a car fire at Haltom Road and Airport Freeway. 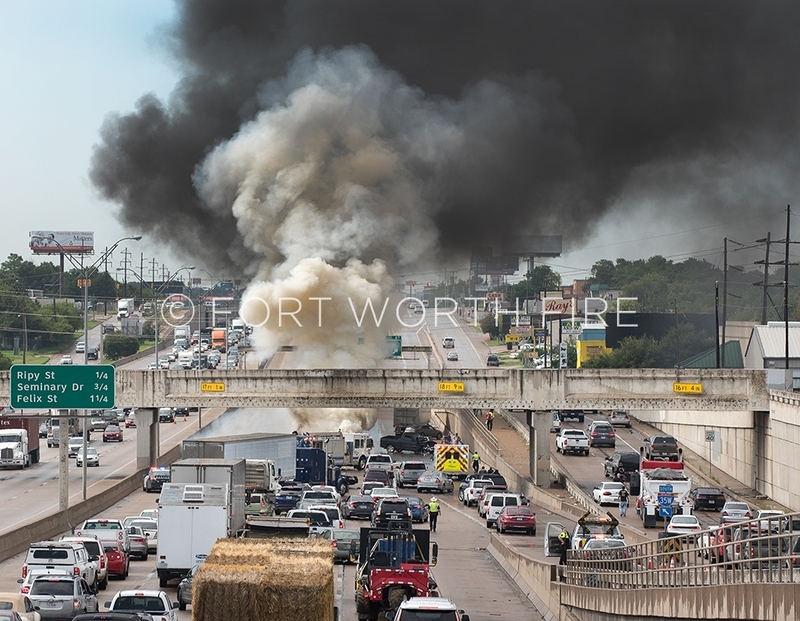 Engine 5 works at a car fire the result of an mva on the South Freeway in a mass of traffic. 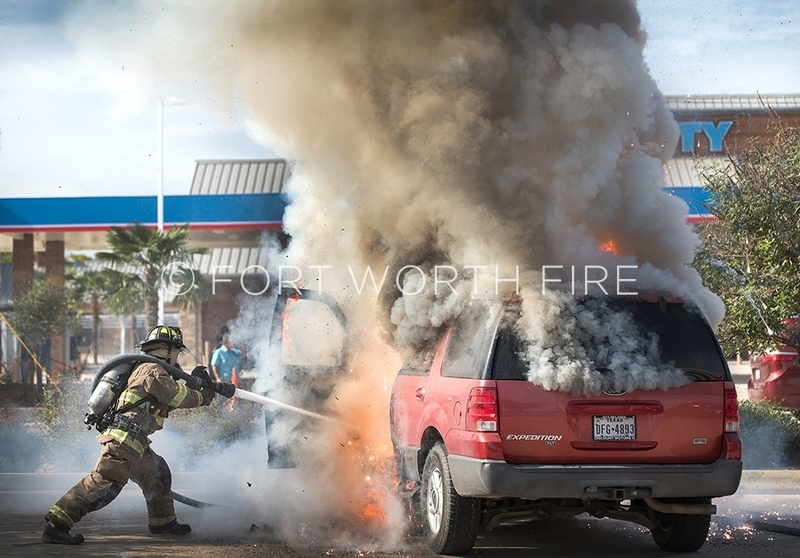 Engine 2 firefighters prepare to use a bumper line on a car fire along 5th Avenue. 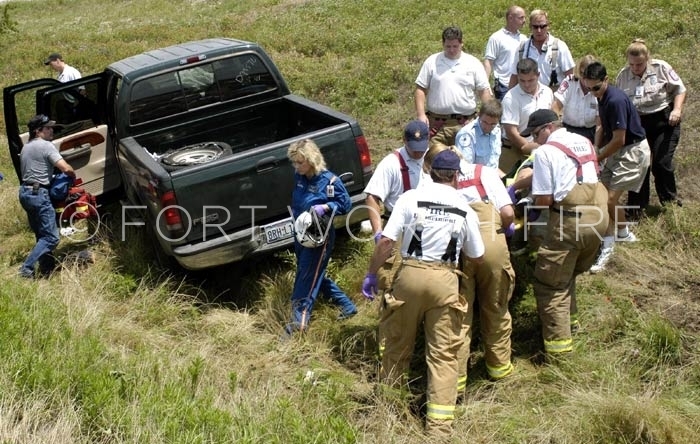 Firefighters work to extricate a driver pinned in his truck following a head-on accident on Loop 820 near Marine Creek. 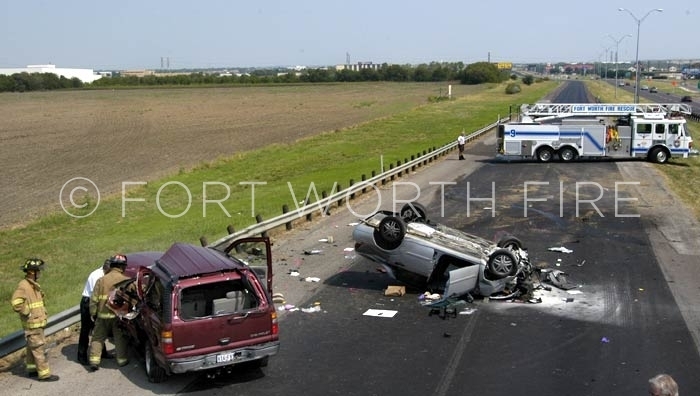 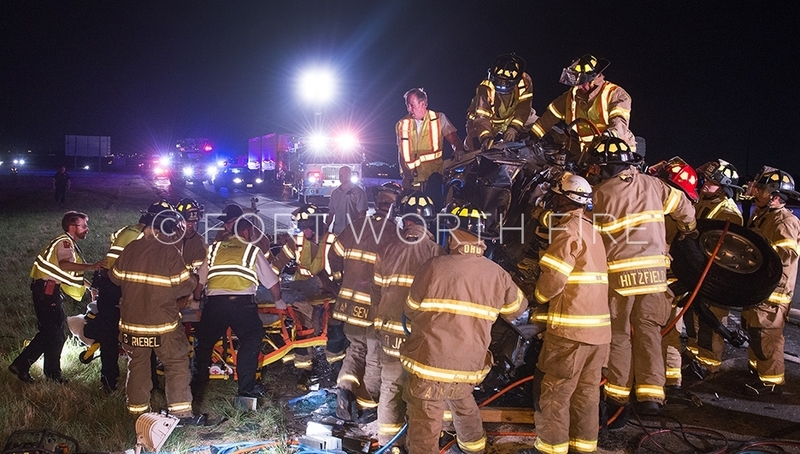 Firefighters remove a victim of a head-on accident on NE Loop 820. 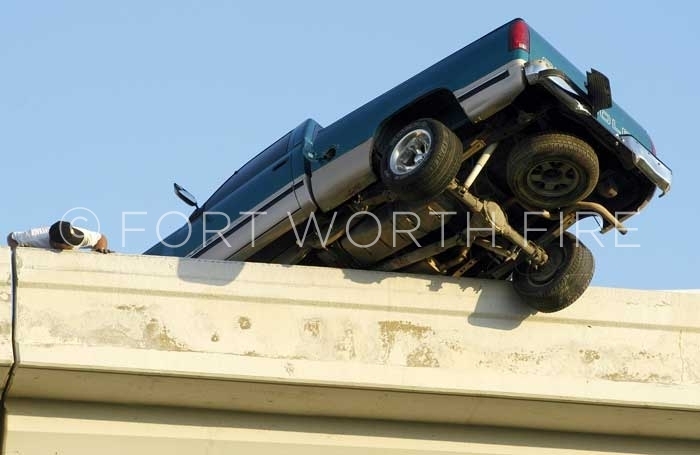 Kenny Dean looks at the balance point on a truck that went out of control on the I-20 entrance ramp. 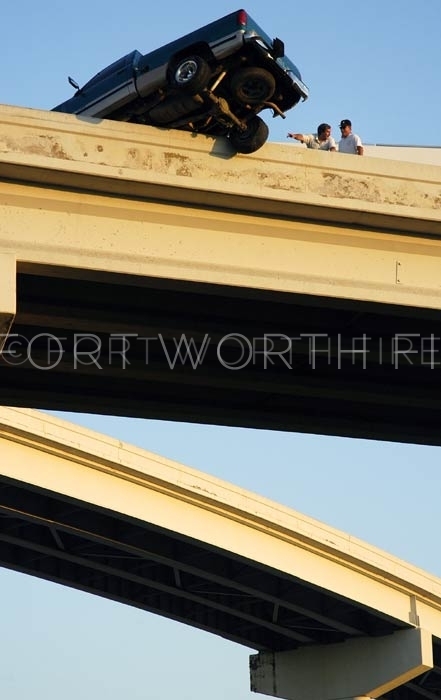 Kenny Cole and Kenny Dean look at the balance point on a truck that went out of control on the I-20 entrance ramp. 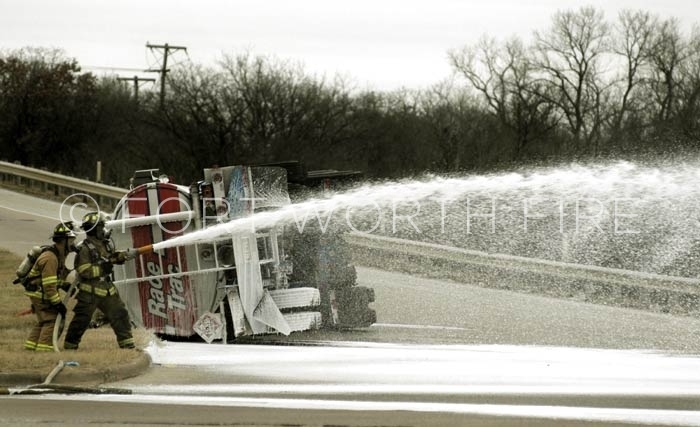 Engine 24 puts down a foam blanket during a tanker rollover on Trinity Blvd. 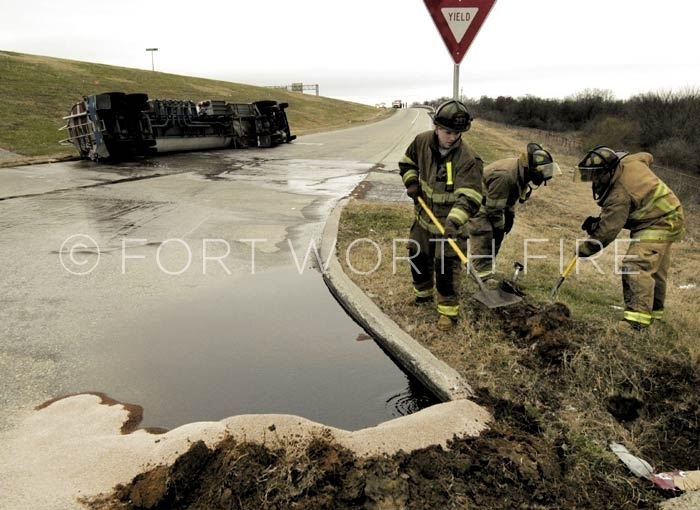 Firefighters dam up a gasoline spill at the scene of a tanker accident on Trinity Blvd. 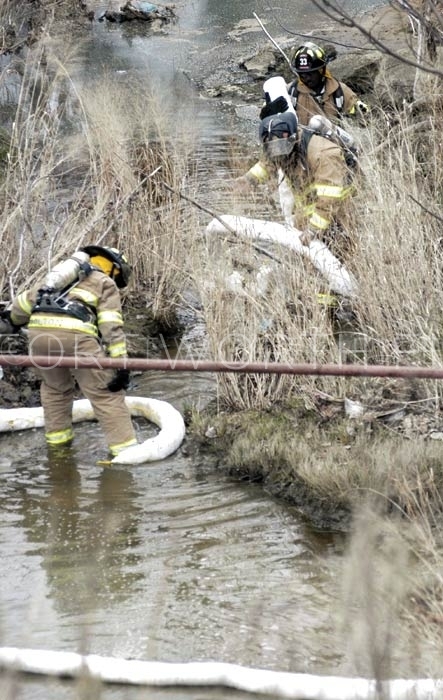 Quint 33 firefighters boom a creek at the scene of a tanker rollover. 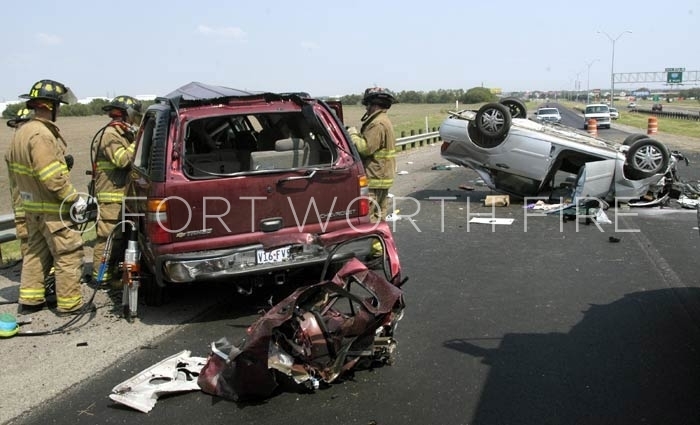 Overall scene of fatal MVA on North Freeway. 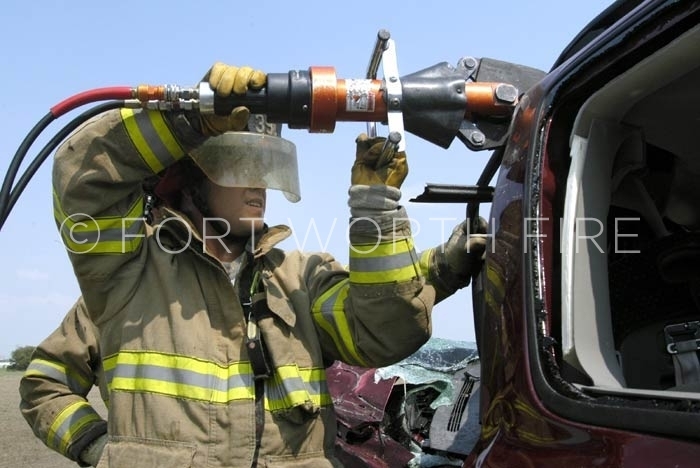 Brad Barron uses the cutters to gain access to a patient on the North Freeway. 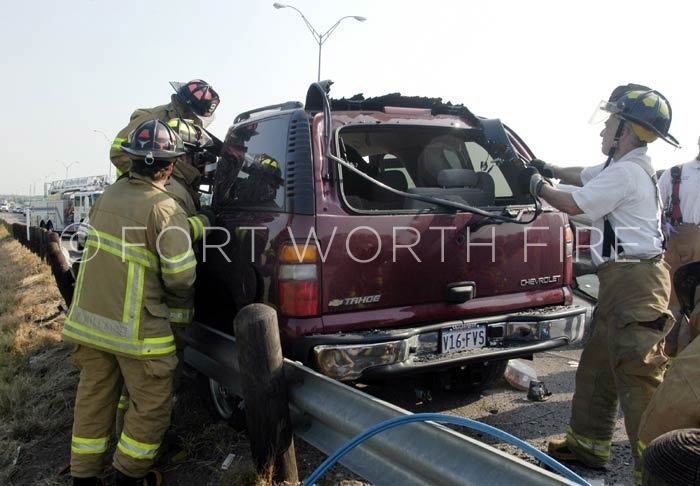 Captain Mark Rhodes uses the cutters to gain access to a patient on the North Freeway. 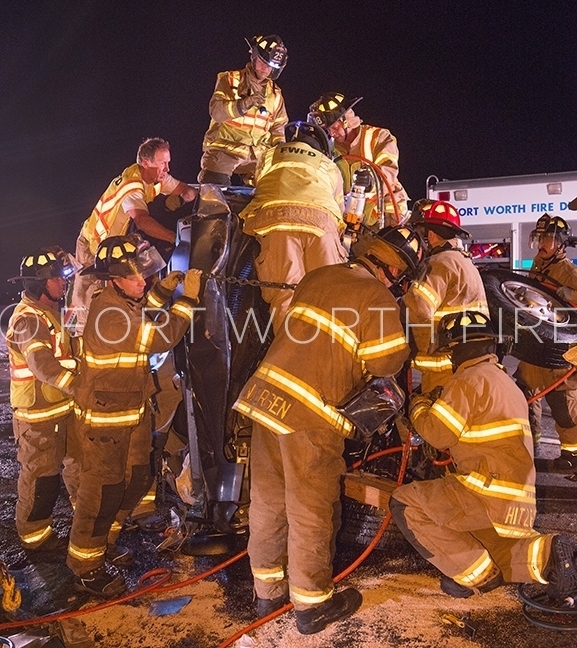 Firefigthers and Medstar personnel remove a victim from an MVA to a waiting Careflight. 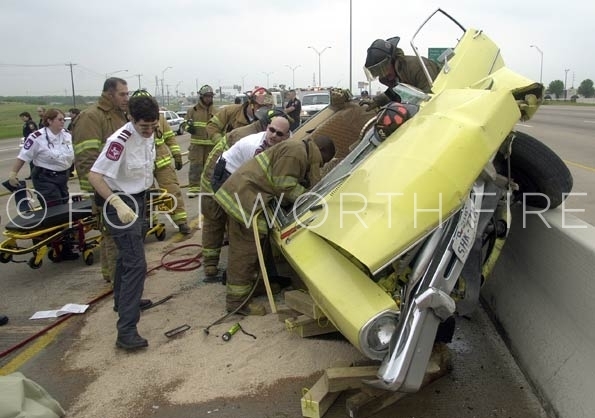 Rescue 14 firefighters cut into a vehicle to remove a victim of a head-on MVA on the North Freeway. 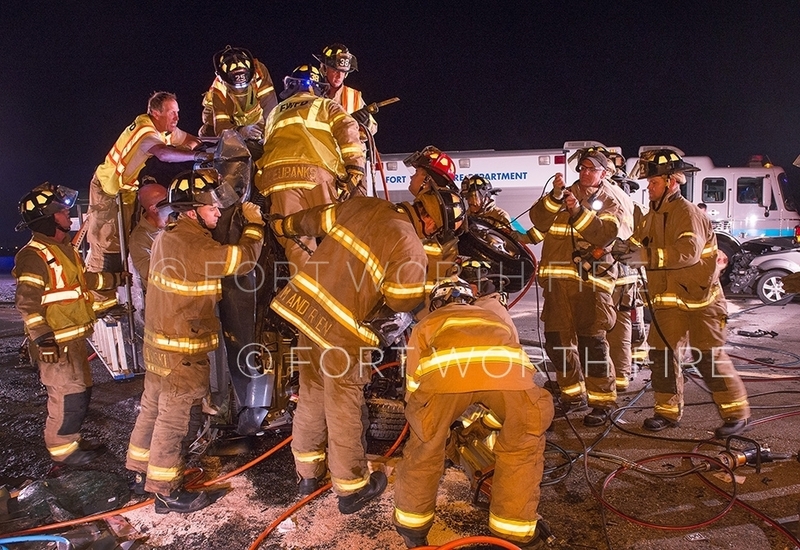 Firefighters work to extricate a victim of a head-on wreck on the North Freeway. 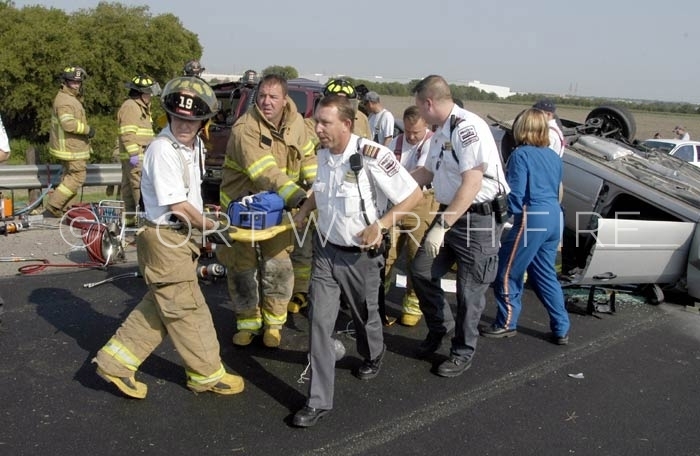 Engine 16 and Quint 23 firefighters carry a victim of an mva to a waiting Careflight on I 30 near Chapel Ctreek. 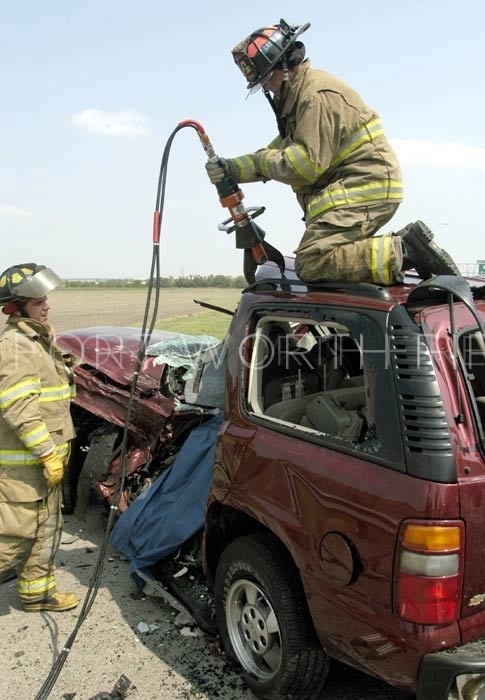 Medstar personnel with Engine 4 and Quint 17 firefighters cut the roof off of a vehicle involved in an MVA on Loop 820 near Wichita. 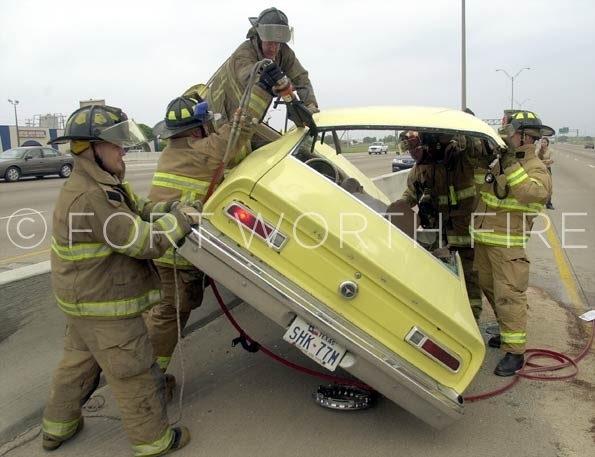 Engine 4 and Quint 17 firefighters cut the roof off of a vehicle involved in an MVA on Loop 820 near Wichita.